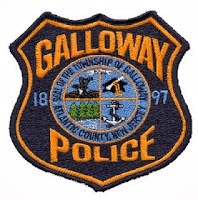 Galloway Township Police responded to 847 calls for service during February 8, 2015 through February 14, 2015. Additional statistics include: 1 Burglaries, 10 Motor Vehicle Accidents, 55 Tickets issued, 0 Driving While Intoxicated, 26 Arrests, 6 Domestic Violence, 12 Fire Calls, 88 EMS Calls and 0 Juvenile calls. Brian Rivera-Larios 19, of Egg Harbor Township was arrested on February 10,2015 by Officer Stewart and charged with possession if CDS , more than 50 grams of marijuana, distribution and drug paraphernalia. Dawn C. Hansell 34, of Galloway was arrested on February 10, 2015 by Detective Baerman and charged with making false reports. Emilio E. Cruz 22, of Galloway was arrested on February 11, 2015 by Detective Casey and charged with possession of CDS and drug paraphernalia. Kwes R. Smith 26, of Egg Harbor City was arrested on February 12, 2015 by Officer Fabrizio and charged with disorderly conduct.